Bury St Edmunds has today been named as one of the country’s best high streets in the annual Great British High Street competition. Bury St Edmunds, along with Andover, won through to the top five of the Town Centre category, just missing out on going through to the public vote to decide the overall winner. The top three which now be voted on are Rotherham, Altrincham and Tamworth. This year’s competition saw a record 230 applicants and now, for the first time, the public has the chance to vote directly for their best-loved high street online. Winners will get a share of prize pot worth £80,000 including expert training and tailor-made tips from Google’s training taskforce – the Digital Garage on Tour – for one hundred of their shops, bars and restaurants. High Streets Minister Marcus Jones said: “We had a record amount of high-quality entries to this year’s competition – testament to the pride local people have and brilliant work being done to boost Britain’s high streets. The local high street is the life and soul of many towns, villages and cities across the country and these awards are a great opportunity to not only celebrate those that are the best of the best, but also to help others learn their valuable tips for success. “Bury St Edmunds just missed out on the public vote this year but can take great pride in being named one of Britain’s best high streets”. 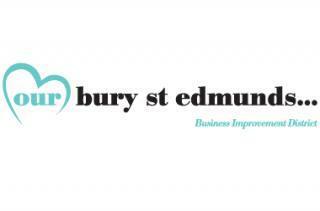 Mark Cordell, Chief Executive of Ourburystedmunds which manages the Business Improvement District (BID), said: “I am very proud that the proactive partnership working in Bury has been recognised nationally. The Town team has been working on projects such as the Wolf Trail, improving St Andrews Street South and attracting more visitors to the town and recent footfall data shows that numbers continue to increase. Bringing the first ever real ice skating rink to the town in December is just another way that the BID delivers benefits for our businesses, residents and visitors. These include a billion pound package of investment ranging from targeted business rate discounts, sensible planning changes and action that reins in over-zealous parking practices. The first Great British High Street competition last year saw 135 communities battle it out to be crowned the nation’s best. Belper in Derbyshire emerged as the overall winner. Belper found that winning not only boosted town pride, but also had a tangible economic impact with retailers reporting increased footfall.